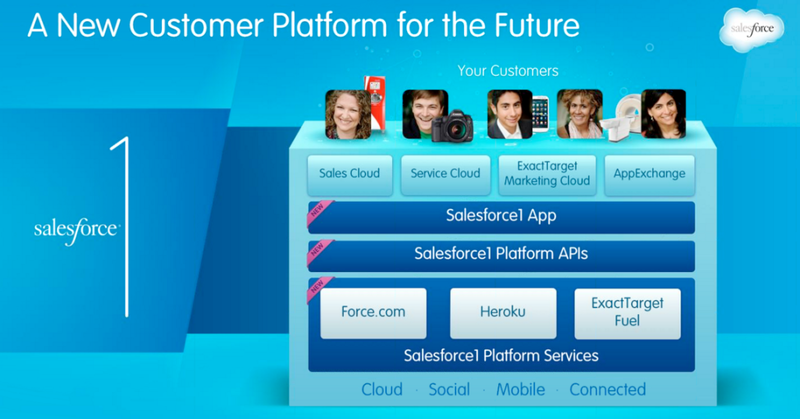 As expected, Marc Benioff took to the stage at Dreamforce yesterday to unveil Salesforce.com’s latest and greatest offering, the Salesforce1 Customer Platform. Borrowing heavily from the much-heralded Internet of Things (IoT), the new CRM platform is being billed as the bridge to an “Internet of Customers”, opening the door for developers, independent software vendors, admins, and end users (that’s you, salespeople) to integrate third-party services with Internet connected devices and sensors. In a nutshell: Anytime, anywhere access to information you need to get the job done. The breadth of yesterday’s keynote drove home the fact that Salesforce is now first and foremost a platform company that caters to several different target audiences. While Benioff and co. did a good job adapting the Salesforce1 storyline to address IT, marketing, service, and sales priorities, three hours is a long time for anyone to sit around waiting for their name to be called. If you had deals to close or were otherwise indisposed, here’s two key takeaways on what the new platform means for salespeople and the modern workplace. 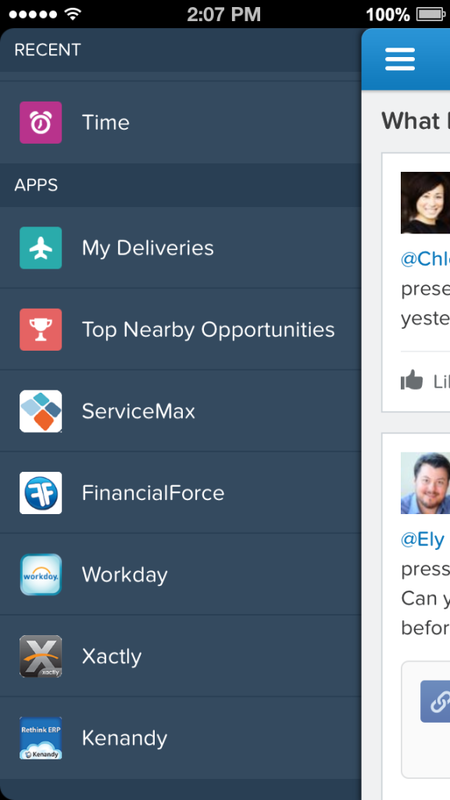 At its core, Salesforce1 is a mobile container that lets you aggregate and access Salesforce tools from anywhere, available as an iOS or Android app. Salesforce offered examples of salespeople using ADP to sign contracts on the go and turning to Huddle choose a meeting place, both easily accessible from the Salesforce1 app. The “mobile-first” strategy acknowledges that today’s salespeople need more tools that are catered to them and how they work. At Yesware, we’ve seen firsthand the growing demand for services that adapt standard online workspaces to fit the needs of the individual worker. While we’re tackling this issue by building a better sales experience on top of the tools salespeople already use — email, CRM, contacts, and calendar — there’s certainly more that can be done to make it easier to access, analyze, and act on the information you need to connect with buyers. Recent data from CSO Insights estimates salespeople are so overburdened with administrative activities (think data entry) that they have precious little time to actually sell — only 35.3% of their work week. Why? They’re spending their days going from login to logout, from desktop to device. With yesterday’s announcement, it’s clear that Salesforce wants to become the unifying agent for all the information companies are spreading across their cloud services. The move, while well thought out, is hardly surprising given the growth of the AppExchange marketplace and recent Salesforce Files launch. Bottom line: There’s a new tool in your arsenal to help you keep up with 24-7-365 customer expectations and global competition. In a blog post on Monday, Little Bird CEO Marshall Kirkpatrick argued that the company’s push to connect the “Internet of Customers” could eclipse cloud computing as the tech industry’s biggest game changer. If Salesforce can move the needle towards popularizing connected devices and integrating them into the larger sales and marketing suite, would it be too bold to say that such a move could change the world even more than the move to cloud computing has? The potential impact here certainly seems comparable. Moving computing into the cloud vs the instrumentation of the physical world? Once you can connect your connected devices to your CRM, you’re going to connect a lot more devices to the web. With 50 billion Internet connected devices projected for 2020, there is a wealth of possibilities as to how salespeople could leverage contextual information to engage with prospects at just the right moment. The rise of IoT could also mean greater efficiency as new streams of data offer more insight into buyer intention, allowing sales reps to block out noise and pay attention only to what’s relevant. 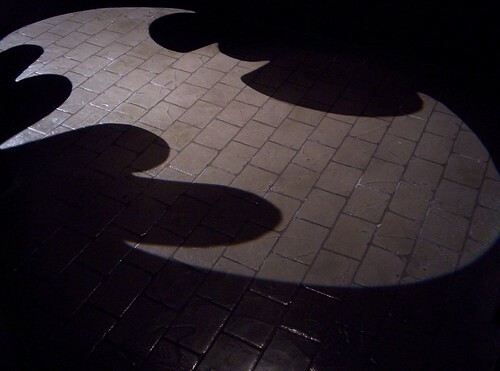 Think of it as turning from “beat cop into Batman.” James Raybould, Senior Marketing Director at LinkedIn, used this metaphor in his Monday session to describe how LinkedIn leverages its unique data assets (profile changes, status updates, etc.) to predict the amount of hiring a company does on average, allowing their sales organization to be more targeted and effective. Because while a beat cop spends their days sifting through leads and chasing after the target, Batman holds down a day job and fights crime on the side. The secret to increased productivity? You need a clear signal that it’s time to snap into action.